Ten volatile years after the fall of the Soviet Union, an award- winning photographer teams up with a world-renowned journalist to complete an unforgettable visual and textual record of Russia's ambivalent rebirth. On December 25, 1991, at 7:35 p.m., soldiers lowered the red Soviet flag flying over the Kremlin and raised the Russian tri-color in its place. The moment passed without pomp 0r circumstance, resulting in a strangely muted end t0 a regime that had, in many ways, defined the 20th century. Christmas 2001 is the tenth anniversary of the demise of the Soviet Union. To commemorate the event, National Geographic presents a mesmerizing retrospective that captures all the turbulence of Russia's new beginning. 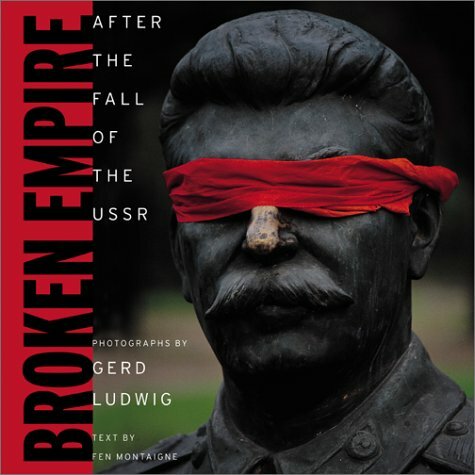 With 120 extraordinary photographs by Gerd Ludwig and incisive essays by Fen Montaigne, Broken Empire captures Russia in all its complexity. The book examines not only the fledgling country's notorious corruption and poverty the only aspects of Russia covered by most Western media-but many lesser known facets, including the rise of a new urban generation committed t0 building a prosperous society. Taking us into the daily lives of Russians, from entrepreneurs to pensioners, Broken Empire's images and words come together to capture as no book ever has the poignant resilience of a country endeavoring to find a workable middle road between capitalism and state control. has shot assignments for Time, Life, Newsweek, Fortune, Geo, Stern, Spiegel, and National Geographic magazine, and has worked in more than 70 countries. Since the late 1980's Ludwig's work has focused 0n the changes in Germany, the former Soviet Union, and other parts of Eastern Europe. He has produced more than ten assignments for National Geographic on this subject. He lives in Los Angeles, California. is an award-winning journalist whose work has appeared in National Geographic magazine, Audubon magazine, the Wall Street Journal, and the New York Times. A 20-year veteran of newspaper reporting, Montaigne covered the collapse of the Soviet Union as the Moscow correspondent for the Philadelphia Inquirer. He lives near New York City.